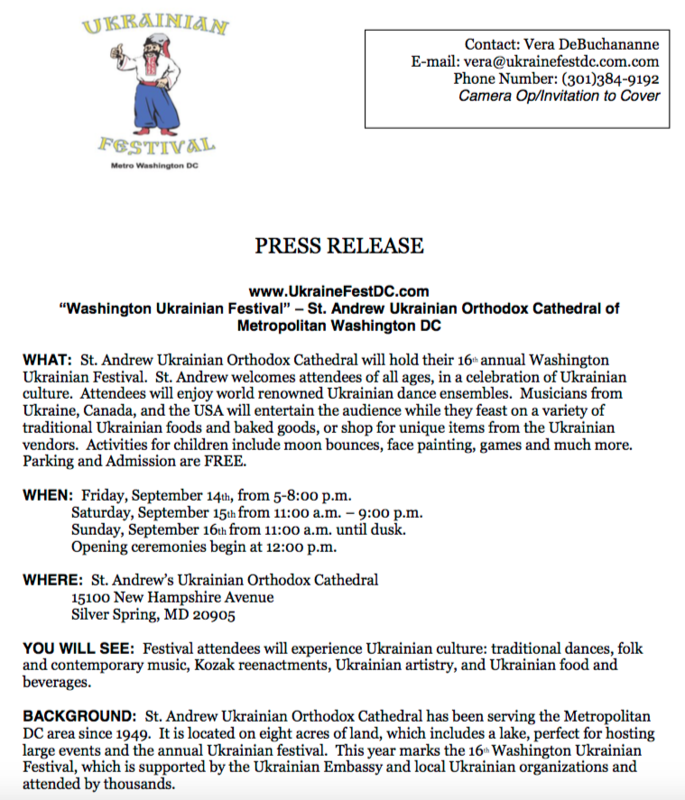 St. Andrew Ukrainian Orthodox Cathedral will hold their 16th annual Washington Ukrainian Festival. St. Andrew welcomes attendees of all ages, in a celebration of Ukrainian culture. Attendees will enjoy world-renowned Ukrainian dance ensembles and the music of violin virtuoso Vasyl Popadiuk. Also, musicians from Ukraine, Canada, and the USA will entertain the audience while they feast on a variety of traditional Ukrainian foods and baked goods, or shop for unique items from Ukrainian vendors. Activities for children include face painting, games and much more. Parking and Admission are FREE.